Do you want to experience extraordinary feel and feedback, high spin and control on and around the green? Look no further. The all new Vice Pro Soft has a matte outer coating and is optimized for extraordinary distance, stable flight trajectory and increased speed. 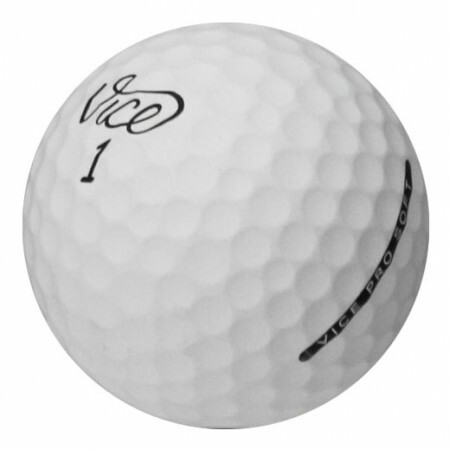 Vice Pro Soft is the perfect ball for those looking for medium clubhead speed and an extra-soft feel. Very thin coating and adhesion offer smooth, on-demand feel, and high degree of backspin. Extremely durable 336 dimple design minimizes dispersion and offers a stable ball flight trajectory, helping keep the ball straight even with winds. Same as the AVX.... most of them i would say were good but not mint. I think the mint thing gets thrown around too easy. Ordered a dozen. One of the balls was a different Vice model out of the dozen. So far, I’ve only hit bad shots with these (not the balls fault) and haven’t had a chance to really play them. Heavy spin, less distance than TP5!